Luminaire by Ciye Cho Review - My Life Is A Fairytale That Will Never End. Well, well, this is the sequel of Florence. After reading the first book I was super excited and really hoped there would be a sequel, because the ending was pretty much open. Yeey, my wishes came true! When the author asked me to review his second book I was beyond excited! And the Luminaire hasn't disappointed me at all! Florence rocks in this book even more. She is still kind of an outsider in the Mer world, but she is trying hard to fit in. She wanted to support and helf the princess Yolee, so she decided to take part of the Life Path tournament. She also had a Truth-dream of the future. Everything is at stake and only she can save the future of all the Mer-people she loves. The writing was good, and the story was full of action! Which I liked very much. Maybe I just wished there was more to the story than just the tournament. Or about the lost prince Kiren. But all the rest? Freaking awesome. 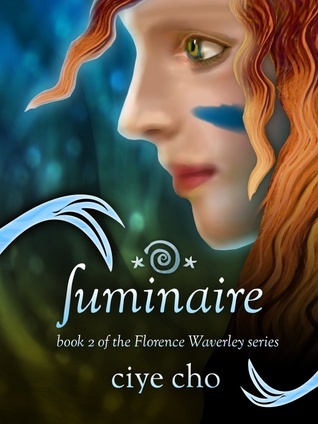 So, if you're searching for a good mermaid book, filled with action, romance, courage and friendship, Luminaire is the perfect book for you!